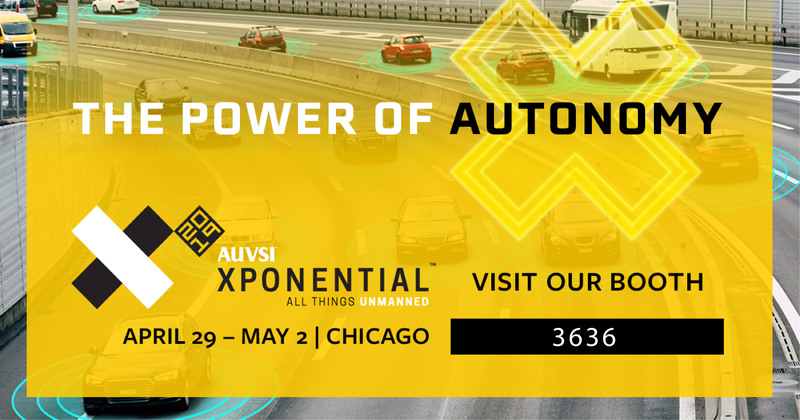 Threod Systems participates in AUVSI XPONENTIAL exhibition in Chicago, Illinois, USA. The event takes place from 30th of April to 2nd of May. If you happen to take part in the event, we welcome you meet us at our stand 3636. Therefore, please contact us to schedule a meeting sales@threod.com. AUVSI XPONENTIAL is an international event that engages 8,500 technologists, regulators and users from commercial and defense sectors. It educates how industries are using unmanned systems. Moreover, it is a great opportunity for companies to expand business capabilities, increase efficiency, and make a difference. The EOS mini UAV wing configuration has changed. The new wing consists of 5 sections. The middle section of the wing can be changed depending on the UAV configuration. In VTOL configuration the wingspan is now 4,75 m and in fixed-wing configuration 4 m compared to previous 3,5 m. Moreover, there are modifications in the EOS UAV battery solution. As a result, external battery option is now available. It enables the use of batteries of different sizes and capacities. Also, a parachute module is available in both configurations. For the fixed-wing as a recovery option. For VTOL, smaller emergency parachute solution, to lower the risks. STREAM C VTOL UAV is still in development phase but will be ready to enter the market in Q1 2020. The starting point for the design was to maintain the useful payload capacity (6 kg). In order to achieve this, the wingspan increased by 1 m (now 5 m instead of previous 4 m). Besides, the engine is replaced with a more powerful one. Threod gimbals are also separate commercial products. They can be easily integrated into any fixed-wing UAV, multirotor, UGV, manned aircraft or any other observation platform. Most importantly, they deliver clear and stabilised imagery that satisfies the most demanding customer requirements. Above all, Cooled MWIR sensor detects vehicles at 15 km and humans at 9km.